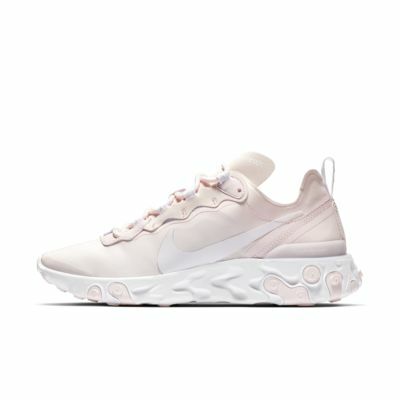 La chaussure Nike React Element 55 pour Femme s&apos;inspire des chaussures de running Nike classiques, telles que la Internationalist, en y ajoutant des motifs réfléchissants, et est dotée de la technologie Nike React. Empeigne en tissu léger avec une finition brillante pour un look élégant. Renforts en caoutchouc sur la semelle intermédaire et la semelle extérieure pour une adhérence durable. I love these - they are super lightweight and made from modern materials that aren't bulky. The sneakers run very small, I'm normally an 8.5 and I exchanged for a 9. I could have probably gone to a 9.5 because I still had to stretch them to fit right. After about 8 times wearing them, they finally fit correctly. Nonetheless, they are super comfortable, great for traveling and easy to match with anything. I bought the black and white - in person, the fabric looks more like graphite. 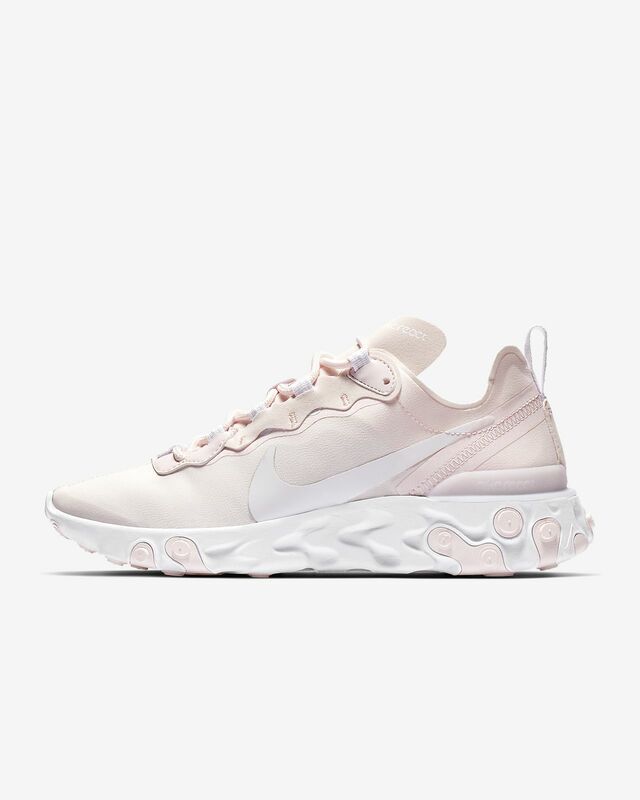 These are really nice shoes. They are pretty lightweight which I like. The only issue is the back part of the shoe rubs on your heels, so I just wear longer socks to fix the problem. Overall they are very good!